Katrina Cannon’s schedule this summer includes shows with Night Star Jazz Orchestra, Salt Lake City Jazz Orchestra and special appearances with the newly formed Vox Nuvo, a jazz vocal quartet, and a vocal trio the Sugar Sisters. Join Katrina Cannon and the Night Star Jazz Orchestra May 9th, 2018 at Clearfield High School for a night celebrating Jazz Arts and help raise funds for music programs in Houston, Texas recovering from hurricane Harvey. Show opens at 6:30 pm with the high school and jr. high followed by Katrina and the Night Star Jazz Orchestra. Katrina will be at the Viridian Center in West Jordan at 8030 S. 1825 W. July 8th, as part of the Excellence in the Community Concert Series in conjunction with the Salt Lake County Library. Come on out and enjoy the summer night featuring the Night Star Jazz Orchestra with Katrina Cannon and Conn Curran. The show starts at 8:30 pm with dance instruction from 7:30 to 8:30 pm. 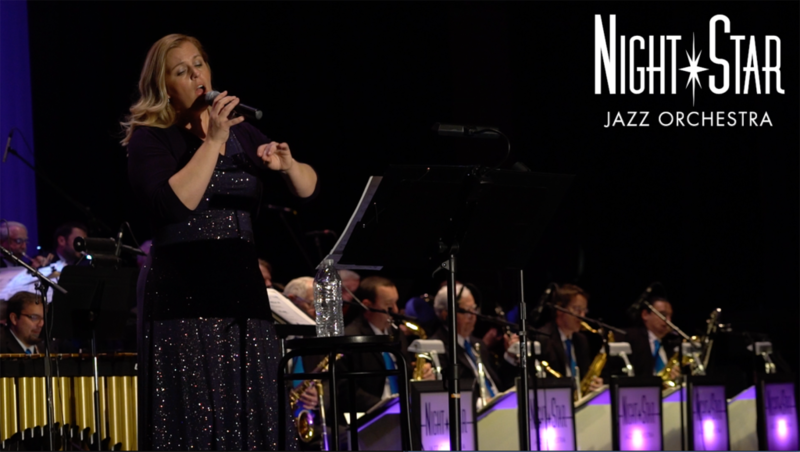 Katrina Cannon will be taking the stage with the recently formed Night Star Jazz Orchestra February 9th at the Gallivan Hall in Salt Lake City. The event is free and open to the public. Doors open at 7 pm, the program will start at 7:30. The new jazz orchestra will also feature Conn Curran who will be performing with Katrina. The performance will feature hit songs from Peggy Lee, Anita O’day, Helen O’Connell and Ella Fitzgerald. The event is hosted and sponsored by Excellence in the Community. July 9th at the Viridian Center, Katrina will be making a special appearance with the talented Tad Calcara and his New Deal Swing for an Excellence in the Community concert. Katrina will be singing with the Cityjazz Big Band throughout the summer. Katrina will be singing with the Sugar Sisters and the Stratford Street Big Band for the opening of the 2016 Heart & Soul Music Stroll at 3pm June 11th 2016 in Salt Lake City. Come on out and support Heart & Soul to help bring music to people in need. Katrina will be singing with Tad Calcara’s Sextet this Thursday, March 3rd at the Gallivan Center. Come check out this great group for an evening of laid back swing and a great time. Brought to you by Excellence in the Community.